Majestic Panoramic views! This private gated single-level Tuscan style Villa is located within a gated community. 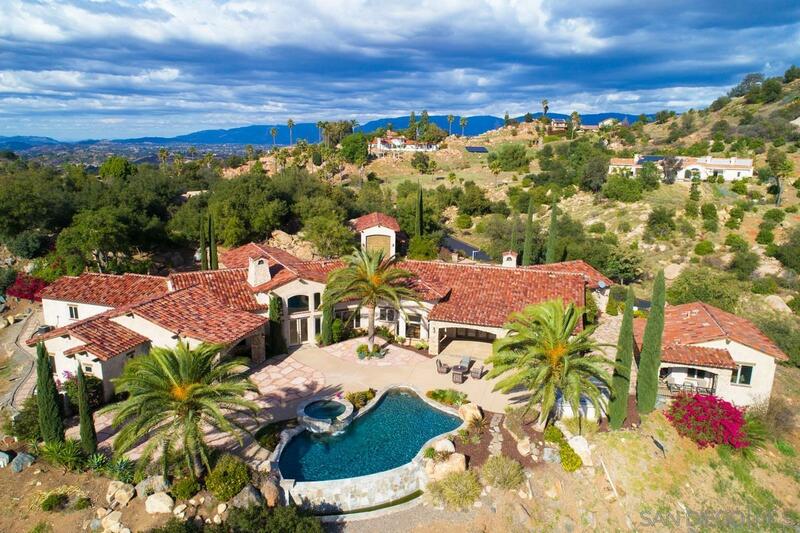 Perched on a hill, this 8.74 acre estate property offers 5 bedrooms, 4.5 baths, and approximately 6,273 SF, a detached Casita with living room, kitchenette, bedroom and bath. Features; vanishing-edge pool with Jacuzzi, outside kitchen BBQ area with a social sit-down bar, and seating areas to enjoy endless views, 4-car garage, detached Motorcoach garage 14' x 38' with workshop area., Majestic panoramic views! Features include: VIEWS - VIEWS from the vanishing-edge pool with Jacuzzi, outside kitchen BBQ area with a social sit-down bar, and seating areas to enjoy endless views, 4-car garage, detached Motorcoach garage 14' x 38' with workshop area, Master suite has fireplace, large walk-in finished closet, spacious stone shower, and separate Jacuzzi tub. Media-game room with blackout drapes. Chef's kitchen with granite counters, stainless steel appliances, butlers room, and large pantry, hobby room, Office/Library and exterior covered loggia to enjoy the views!